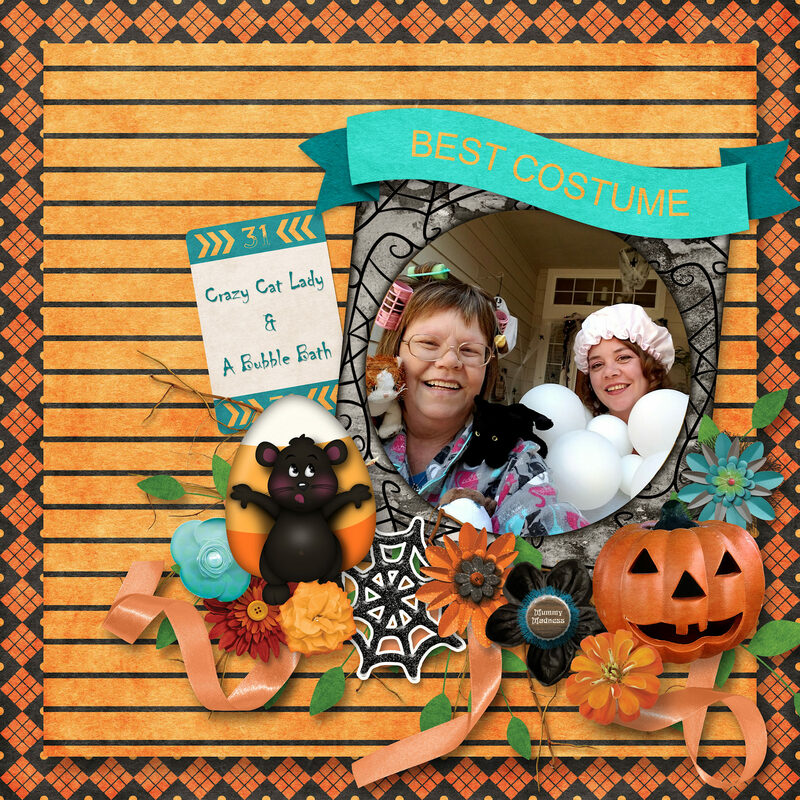 Here's a layout I made using Scrapbookcrazy Creations by Robyn's Trick or Treat...such a fun collection!!! Bwahahaha, thanks, Robyn! You couldn't see my cat slippers, LOL! 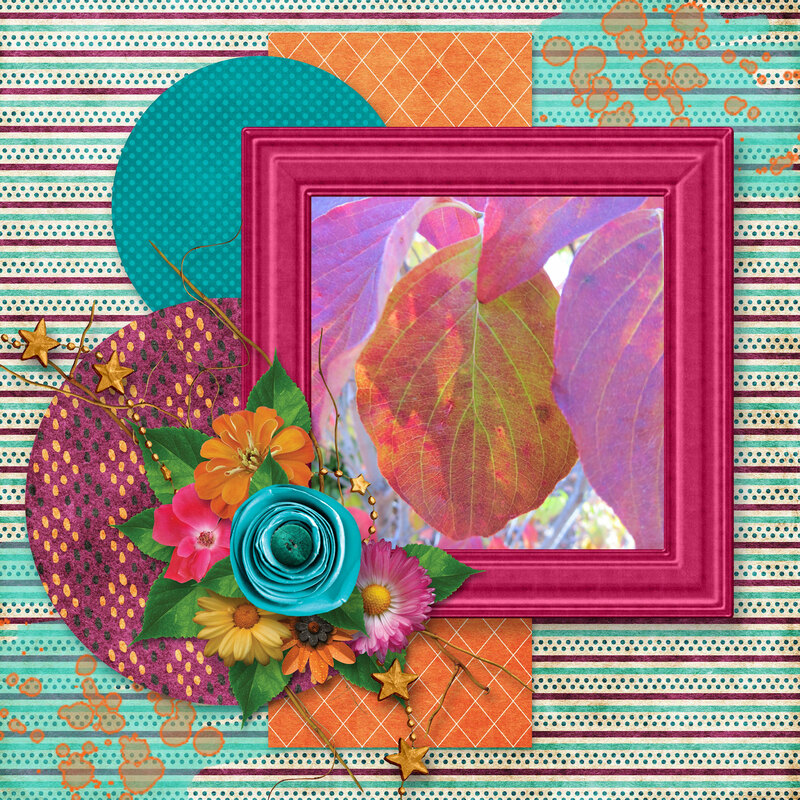 Here's another layout I created using Trick or Treat from Scrapbookcrazy Creations by Robyn - as you can see, it's very easy to do a page that's "off-theme", making this a great kit for anything Fall!